$10 Off a $25+ JCP Purchase + Coupon Giveaway In-Store! You are here: Home / Great Deals / $10 Off a $25+ JCP Purchase + Coupon Giveaway In-Store! Through 12/29, JCPenney.com is giving you an additional $10 off your $25 original, regular and clearance-priced apparel, shoe, accessory, fine jewelry and home purchase. To get your $10 off $25 use promo code LETSHOP at checkout (or print an in-store coupon here). OR, score an extra 10% off select watches, salon products, furniture, mattresses, and custom blinds and shades with the code USAV2DAY at checkout. OR, get an extra 25% off a $150 order OR 20% off a $100 order with the code USAV2DAY. Plus, you may be able to opt for free in-store pickup (if available in your area); otherwise, get free shipping on $49 orders with the code BOXITUP. The code BOXITUP can be stacked with other promo codes, but your total will need to be over the $49 threshold after the other promo codes are applied. 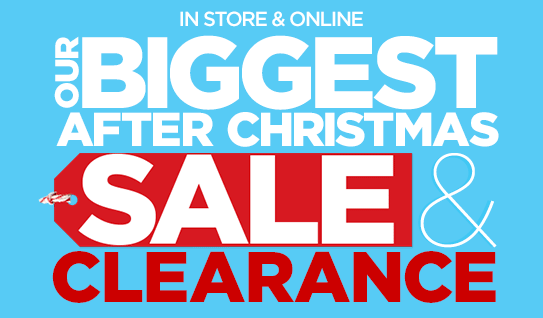 Browse around through their After Christmas Sale where you’ll find big discounts on baby items, home, clothing for the family, and so much more! If you’re headed in-store, be on the lookout when you walk in for a coupon giveaway where employees will be handing out a $10 off a $10+ coupon! Click here to check out more Great Deals!